Seven gears that shift at lightning speed without interrupting traction – Audi presents a new phase in the evolution of transmission systems. The seven-speed S tronic has an extremely dynamic, high-efficiency action. 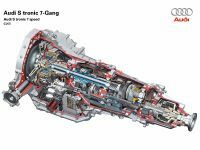 This new dual-clutch transmission is designed for use with a longitudinally installed engine and quattro all-wheel drive. 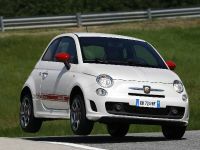 It is suitable for a wide range of sporty models and will go into production in the second half of 2008. In addition to the new seven-speed S tronic, Audi offers a wide range of other transmission technologies, with an ideal solution for every need. With the seven-speed S tronic, Audi is launching a new phase in its driveline strategy. 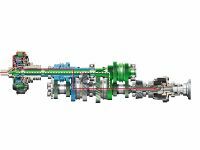 The new transmission, entirely developed by Audi, is intended for sporty mid-range models. It is a high-tech component which Audi has designed to be dynamic and highly efficient. Audi drivers can use the new seven-speed S tronic in various modes. 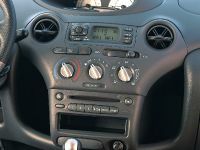 The fully automatic mode, in which the computer selects the gears, provides D (Drive) and S (Sport) programs. The gears can also be shifted manually with the selector lever or with the optional rocker switches on the steering wheel – an impressively rapid action. The shift response is dynamic, smooth and extremely precise – typical Audi features. The seven-speed S tronic consists of two part-transmissions. The two multidisk clutches integrated into it engage and disengage different gears. The large outer clutch K1 transmits engine torque through a solid shaft to the gearwheels for the odd-numbered gears 1, 3, 5 and 7. These are located in the rear section of the aluminum housing, toward the center of the car. A hollow shaft rotates around the solid shaft. It is connected to the smaller K2 clutch, which is located inside the larger one and engages and disengages the even-numbered gears 2, 4 and 6, as well as reverse. 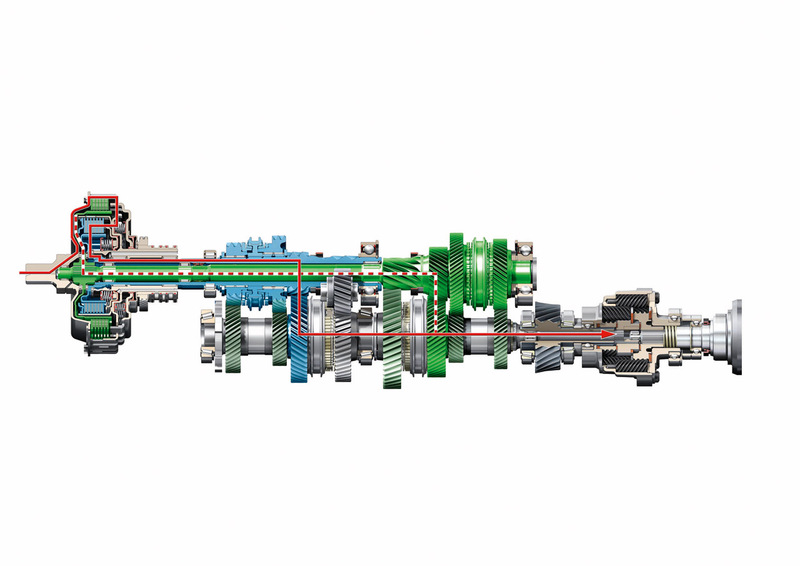 All the gearwheels are mounted one behind the other on the two output shafts, in the sequence 4, 6, 2, R, 1, 3, 7, 5. Both part-transmissions are continuously active, but only one is connected to the engine at a time. If the car is accelerating in third gear, for example, fourth gear will have already been engaged in the second part-transmission. The shift process takes place as the clutches are operated – while K1 is opening, K2 closes at lightning speed. This process takes only a few hundredths of a second and is completed without interrupting traction. It is so comfortable and smooth that the driver hardly notices it. Power flows from the drive shaft to the self-locking center differential of the quattro drivetrain, which distributes it into two directions. In the regular distribution pattern, 60 percent of the torque flows via the propeller shaft to the rear-axle differential and 40 percent via a side shaft to the bevel pinion of the front-axle differential. To reduce weight, this shaft is also hollow. When needed, the center differential can deliver up to 85 percent of the power to the rear axle or up to 65 percent to the front axle. Each component of the new seven-speed S tronic attests to Audi's innovative way of thinking and the company's uncompromising quality standards. Carbon-coated synchronizer rings ensure synchronization of maximum quality and durability. Gears one through three and reverse have three-cone synchronization. Highly precise management of both multidisk clutches was one of the most important development goals. This was achieved by various means, including a compact pressure cylinder, electronically controlled rotation speed compensation and an optimized coil spring package. This technology package provides maximum precision and smoothness during drive-off and when shifting between gears. Transmission management is by means of a mechatronic module. This compact unit containing the control units and hydraulic actuators is a completely new development. Its control concept allows the speed of the gear shift to be varied, with extremely precise control of the power necessary for the process. The pressure needed in the control circuit is built up by an efficient gear-driven oil pump. When the car is driven off, cooling of the dual clutch by this pump is assisted by a suction-jet pump. In this way the oil delivery volume can be almost doubled without any increase in drive power. Another special feature of the seven-speed S tronic is the use of two separate oil contents. While the dual clutch, mechatronic module and oil pump are supplied by their own oil circuit containing seven liters of automatic transmission fluid (ATF), the gear sets and the center and front-axle differential are lubricated with about 4.5 liters of hypoid gear oil. This separation has allowed the development engineers to position all the components ideally, without the unavoidable compromises if a single lubricant were used. 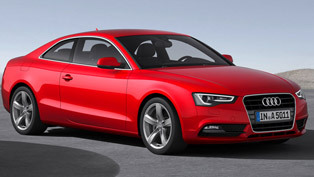 Audi has designed the new seven-speed S tronic for exhilarating driving and consistent economy. The new high-tech unit is notable for its very high efficiency. 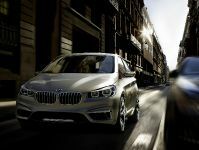 Its highly intelligent controls also permit economical driving in the automatic mode. The maximum possible transmission-ratio spread of 8.0:1 provides a sporty, low transmission ratio for the first gear as well as a high ratio for top gear as a means of keeping engine speed low. 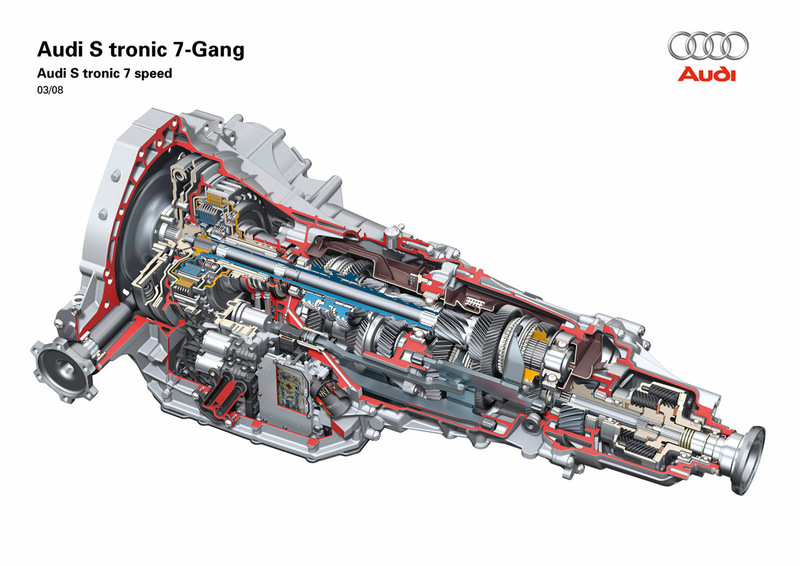 The new transmission therefore suits modern TDI, FSI and TFSI engines with their high torque even at low engine speeds. The seven-speed S tronic is designed for engine speeds of up to 9,000 rpm and can transmit a torque of up to 550 Nm (405.66 lb-ft). Audi has led the field in transmissions for many years. 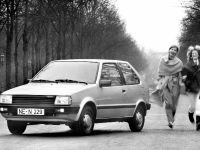 The introduction of quattro all-wheel drive in 1980 was a milestone in the history of automotive technology, and S tronic is a prime example of the company's basic claim to leadership in this area: "Vorsprung durch Technik." The first Audi with a dual-clutch transmission underwent initial tests as long ago as November 1985, in the Sport quattro S1 that Walter Röhrl drove in World Rally Championship events with Christian Geistdörfer as his navigator. Röhrl, the finest rally driver of his time, described his 350 kW (476 hp) sports car as "a formidable thing" and a "natural phenomenon," and the high-tech transmission provided him with even more powerful performance. 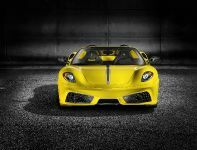 The dual-clutch transmission, which was controlled electrically by a short touch-action control lever in the S1, could shift through its five gears at lightning speed. Since traction was not interrupted, there was no loss of boost pressure from the five-cylinder engine's turbocharger. A dual-clutch transmission was also installed in the S1 in 1987 during training for Röhrl's victorious storming of Pikes Peak, the hillclimb held in Colorado. 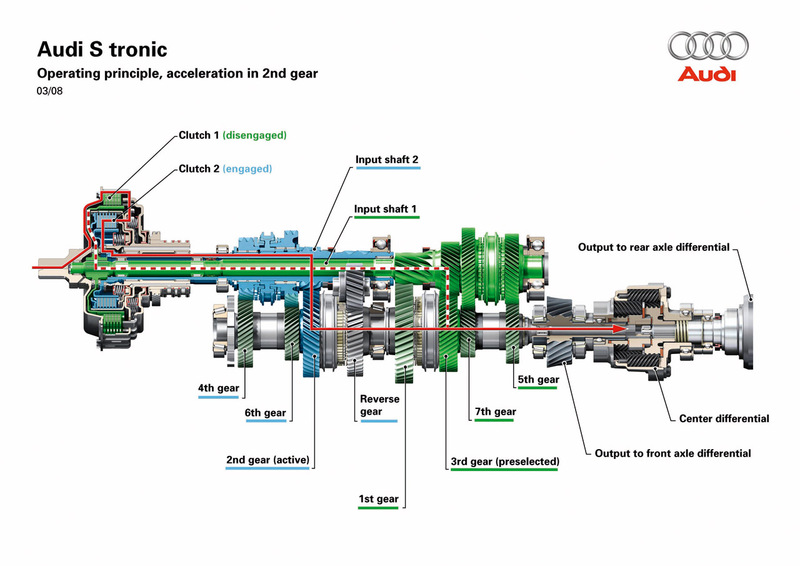 Today Audi has an extensive portfolio of transmission technologies – five versions with widely varying characteristics that perfectly fulfill their specific range of applications. As well as the sporty S tronic, Audi supplies cars with a classic manual transmission, the automated R tronic, the smooth, convenient tiptronic with torque converter and the multitronic continuously variable transmission. At least two tailormade solutions are available for each model line. The common denominators among all of these transmissions are compact, lightweight construction, high efficiency, precise functioning, extremely durable quality, and convenient, simple operation. New-generation units are being installed in the new midsize Audi A4 and A5 models and in the Audi Q5 SUV introduced in May. The differential is now directly behind the engine, ahead of the clutch or torque converter. Interchanging the component positions in this way has moved the A4's front axle forward by 154 millimeters (6.06 inches) compared with the previous model. The result is a long wheelbase and more interior space, but also a high degree of dynamic stability, undisturbed straight-line running and optimal weight distribution between the front and rear axles. Manual transmissions are available in many of the model ranges, from the compact A3 to the A6, along with the TT and R8; they are suitable for combination with either a front-wheel or a quattro driveline. Most manual transmissions have six gears. The A3 and A3 Sportback 1.9 TDI e are supplied with five-speed transmissions that have higher upper ratios, which helps these models to achieve the outstandingly low fuel consumption of 4.5 liters of diesel per 100 kilometers (52.27 US mpg), and therefore the equally low CO2 emission level of 119 g/km (191.51 g/mile). 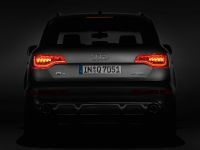 For the A4 and A5 model lines and the new Q5, Audi has introduced a new generation of transmissions, with two different versions available. The basic version is for both front-wheel-drive and quattro drivelines and can transmit a maximum torque of 350 Nm (258.15 lb-ft). For the V6 TDI, which has 500 Nm (368.78 lb-ft) of torque and drives all four wheels, an even higher-capacity version is available. Both these manual transmissions have the differential located ahead of the clutch. Output to the front axle is through a hollow shaft inclined at an angle of 7.2 degrees. The dual-mass flywheel and the hydraulically actuated single dry-plate clutch are not bolted to the crankshaft in the usual way, but supported on the gearbox input shaft. A series of measures has been taken to reduce internal friction and increase the already high level of efficiency still further. Special selector fork mountings decouple the gear lever from the driveline so that the driver does not sense any vibration, but enjoys a precise shift action with short, clearly defined lever movements. To assist the driver in controlling the car efficiently, Audi has developed a gear shift indicator in the driver information system display on cars with the new transmissions. It indicates which gear is actually in use, and makes the appropriate recommendation if a different gear would be more suitable while the car is being driven at a steady speed. The technology used in the six-speed sequential-shift R tronic is exclusive to the R8 high-performance sports car. 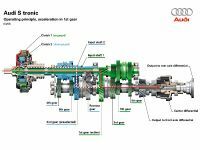 Audi's engineers have given this transmission especially dynamic ratings. In it, hydraulic units actuate the gears and clutch, and the driver's commands are transmitted electrically. The R tronic's electro-hydraulic shift unit has its own oil circuit with an electric pump to maintain the necessary pressure of 45 to 50 bar. This hydraulic circuit operates the clutch. A second valve block replaces the mechanical gear shift. Shift commands from the steering wheel switches or the gear lever are transmitted entirely electrically "by wire". The mechanical elements of the gearbox remain unchanged. R tronic is notable for very brief interruptions to the power flow, and also for smooth gear shifts. Its working speed varies, depending on engine speed and the selected shift program. In the S mode, gear shift times are extremely short: the R tronic shifts much faster than even a highly experienced driver. 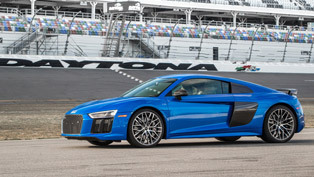 The Audi R8 high-performance sports car rockets away from a standing start and reaches 100 km/h (62.14 mph) in 4.6 seconds. This gigantic thrust can be sampled over and over again, thanks to the R tronic's Launch Control. The driver first activates the S mode and switches ESP off. If the brake pedal and the accelerator are pressed down at the same time, the system selects the ideal engine speed automatically for optimal traction. 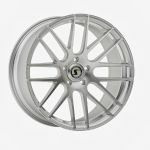 If the brake is then released, R tronic engages the clutch with ultimate efficiency and accelerates the R8 at full power. The tiptronic transmissions from Audi are found in all sedan model lines, from the A3 to the A8, as well as in the high-performance Audi Q7 SUV, in combination with front-wheel or quattro drive. The great strength of this classic torque-converter transmission is its smooth, convenient shift action. In order to improve this even further while also enhancing efficiency, engineers have modified the damping system in the latest version's torque converter. In addition, gear shifts are completed more rapidly. 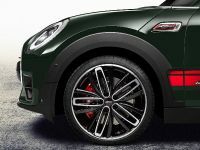 The torque converter is equipped with a new type of torsional vibration damper. This allows the lock-up clutch to remain engaged over a broad range of engine speeds and loads, so that overall efficiency is higher and fuel consumption is reduced. When the car is at a standstill, a controlled drive-off clutch disconnects the transmission from the engine even if the selector lever remains in position D. This clutch is engaged as soon as the driver releases the brakes. The revised tiptronic transmission is distinctly more dynamic in operation. It responds more rapidly, but although the gear shifts are quicker they take place just as smoothly as before. These improvements are due to an improved layout of the oil passages used to fill the converter, and more powerful software for the Dynamic Shift Program (DSP), which uses an adaptive operating principle. During an upshift the control unit now lowers engine torque by as much as 80 percent, and opens the throttle during a downshift for a predetermined time. The redesigned multitronic also features even greater efficiency and dynamics. This continuously variable transmission from Audi combines the advantages of manual gear selection with the advantages of an automatic. The multitronic is available in the A4, A5, A6 and A8, in all cases with front-wheel drive. With its smooth changes of ratio allied to dynamic acceleration, this high-tech Audi transmission offers a high standard of refinement. High efficiency and a broad spread of gear ratios make the multitronic an exceptionally efficient transmission. Thanks to ingenious control of the continuously variable ratio, the engine can operate frequently in its most efficient speed range, which improves fuel consumption and noise levels. Internal losses have been reduced still further by numerous improvements to component geometry, the shaft bearings and the design of the oil pump. The multitronic's new variator permits a wider spread of transmission ratios: 6.73 instead of the previous 6.25 between the highest and lowest ratios in the new A4. 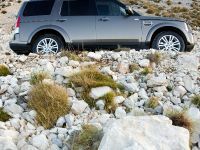 In the lowest ratio the vehicle accelerates powerfully, whereas the highest enables the fuel-saving potential of high-torque engines to be fully utilized by keeping engine speeds to a minimum. The multitronic transmission has an adaptive control system that varies its settings according to driving style and road topography. In the D mode of this successful unit, the effective transmission ratio changes steplessly, but a button can be pressed to activate the dynamic Sport program, which selects lower ratios in all circumstances. When accelerating, the fixed characteristics of the Dynamic Shift Program select eight specific ratios in succession. In one-touch mode, the third operating mode, the driver can shift actively between the eight speeds, either using the selector lever or optionally with shift paddles behind the steering wheel. TT Coupé and Roadster, and has become firmly established in the A3 since then. S tronic, with its wide range of interesting features, is also available in the A3 with four-cylinder TDI engine. By the end of 2007, Audi had produced over 188,000 cars with dual-clutch transmissions in these two model lines. The basic dual-clutch principle is similar to the seven-speed S tronic, but the six-speed unit has a special three-shaft layout and is therefore exceptionally compact, making it ideal for transverse installation. Here too the transmission housing contains two part-transmissions. The first consists of a layshaft with the gears for the odd-numbered ratios, the second houses the even-numbered gears. The two clutches are arranged one behind the other and transmit power to two coaxial input shafts. 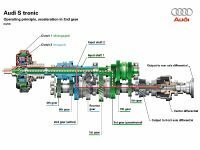 Clutch 1 is linked to a solid shaft that acts as the input to part-transmission 1; clutch 2 drives the gears in part-transmission 2 via a hollow shaft surrounding the solid shaft. The mechatronics consist of a block containing the central computer and a group of hydraulic actuators, and manage all the necessary gear shifts. The six-speed S tronic also allows the driver to choose between various operating modes. Manual gear shifts can be made with a one-touch lever or as an option with paddles behind the steering wheel; there are also two fully automatic modes, D and S. In the D mode the transmission management keeps engine speeds low whenever possible, to save fuel. Even an attentive driver could do no better. 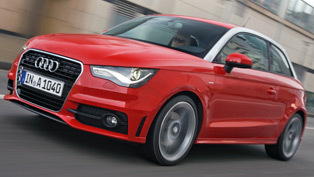 For the A3, Audi has now introduced a further version of the seven-speed S tronic, for models with a transversely installed engine. The clutches do not run in an oilbath but are of the dry plate type. This means that they do not need a separate oil supply, which further adds to the transmission's already impressive efficiency. 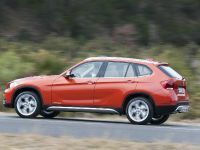 The seven gears are closely spaced for a sporty response, though top gear is high-geared to reduce the engine speed, cutting fuel consumption as a result. The seven-speed S tronic is an exceptionally compact unit that is suitable for input torques of up to 250 Nm (184.39 lb-ft).